Times 5's music was a fusion of late-70s "New Wave" and the sounds of the "British Invasion" of the early to mid-1960s. The musical roots of each Times 5 member was slightly different, but the common thread was the influence of 1960's pop. All but one member of Times 5 grew up in the S.F. Bay Area, specifically the East Bay. Three of the members grew up in the same town of Hayward (Wallace, Nelson, Clare), where there were probably more musicians per capita then any other city on the West Coast. Timmy Spence grew up in Philadelphia, P.A. where everyone in the neighborhood was influenced by 1960's R&B. Walter Jachec spent part of his early childhood in the Pacific Northwest, then moved to sunny California where "Super Surfer" skateboards, The Beach Boys, and Harachi sandals were the norm. In the early years, most of the combos formed by members of Times 5 never graduated beyond the garage. When there was a gig, it was usually a school talent show or playing for cokes at a family or neighborhood function. After high school most members of Times 5 started taking music seriously, and by this time many were playing in local bands perfecting their own musical style and voice. Influenced by the new wave movement in the Bay Area and England, suburban refugee and San Francisco transplant, David Wallace, began composing what would become Times 5's signature set. David's unmatched knack for songwriting, leadership and enthusiasm, propelled him into the lead role of the soon to become pop quintet. Unsatisfied with playing his songs to the four walls of his guest bedroom, David sought out other musicians to share his pop vision for the decade to come. Sometime in 1978, David Wallace was re-acquainted with an old friend named David Nelson, who hailed from the same East Bay town of Hayward. The former Fleshtones guitarist and songwriter, was "blown away" by the enthusiasm and energy of the Wallace compositions. David Nelson's brilliant Lennon-like low harmonies, coupled with his thoughtful lyrical contributions to some of Wallace's unfinished songs, formed a songwriting synergy that is timeless to this day. David Nelson's childhood friend, Walt Jachec, was soon recruited to play drums in the newly forming band. 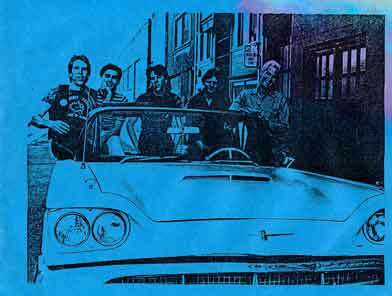 Walt, also formerly of the Fleshtones, was by far the best rock drummer on the scene, who's style resembled that of the Who's Keith Moon, as well studio musician Jim Keltner. Walt's quiet and gentlemanly calm demeanor was somehow magically transformed once he sat down behind his classic set of Ludwig drums. Seeking to set the band's sound apart from other local bands, David Wallace recruited keyboard player, and fellow San Franciscan, Timmy Spence. The Philadelphia native and classically trained pianist, gave the band it's signature sound with his brilliant Farfisa organ melodies. Timmy's mathematical-like, structured arpeggios were many times copied, but never duplicated by other local keyboard players on the scene. Timmy's contagious on-stage presence and his unbridled enthusiasm for entertaining made him the chosen favorite among the band's inner circle of fans. 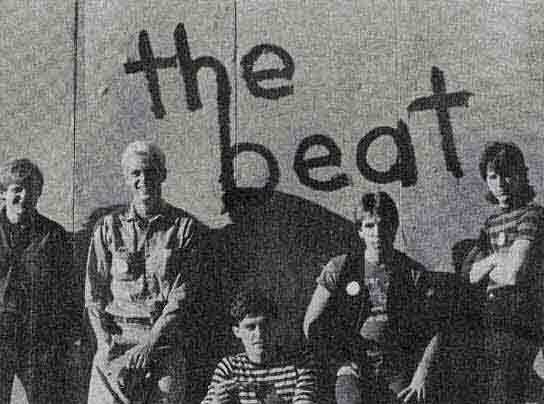 Rick Clare was a member and leader of the first East Bay punk band, the Street Punks. Rock columnist, Howie Klein wrote, "this hard rocking quartet packs the dynamic punch of true rockers like AC/DC or the early Stones, with a bona fide 1977 approach to the art. They are living, playing proof that so called 'New Wave' can be more than just three chords or atonal white noise". While having some success with previous New Wave bands, Rick was never quite satisfied with the overall musical direction and jumped at the chance to play with David Wallace. While the band rehearsed in the seedy part of the South of Market Area of San Francisco, working behind the scenes was the band's superb manager, David Peterson. Also a former Hayward resident, David owned and operated his candy store, City Sweets, in the heart of San Francisco. Working the phones and making valuable contacts, David kept the band busy playing clubs, recording, doing photo shoots and making videos. David made numerous unselfish sacrifices, monetarily, and with his own time, in an effort to see that Times 5 succeeded in making a difference. Without the efforts of David Peterson, it is doubtful the band could have gone as far as it did, in such a short time. 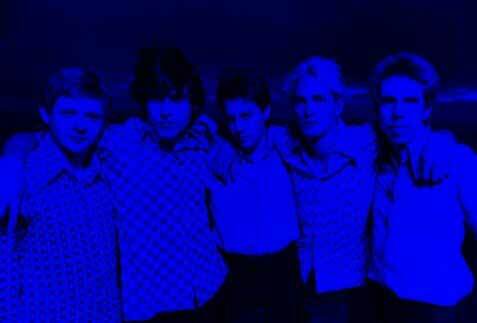 Most of Times 5's early gigs were in San Francisco opening up for popular bands at the time, such as SVT, No Sisters, and The Rubinoos. 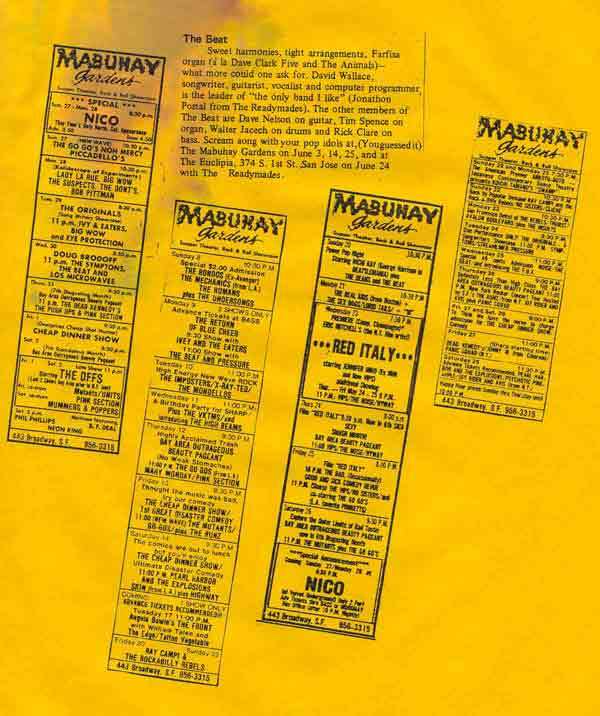 The early shows primarily occurred at a handful of clubs in the City, where the best receptions were at the Mabuhay Gardens and The Palms. Also in the early days of the band, Times 5 ventured out of the Bay Area and performed at a number of clubs in Sacramento and in the East Bay. Please see the links Discography/Recordings and Videos, for a complete list of Times 5's recordings and videos. 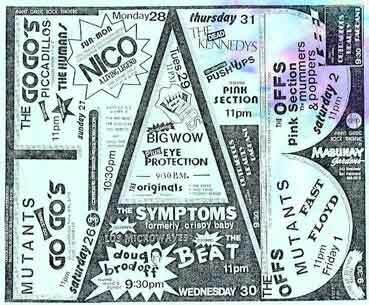 By late 1979, Times 5 was either headlining shows at smaller clubs in the city or opening up for more popular bands in the Bay Area's best clubs, such as the Old Waldorf and Wolfgangs (owned and operated by Bill Graham Presents). Some of the more popular bands Times 5 shared the bill with were Wreckless Eric, The Plimsouls, and local favorite, Pearl Harbor and the Explosions. 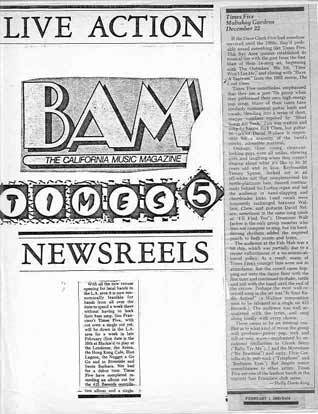 During this period of success, the band travelled to Los Angeles numerous times to open for The Plimsouls, as well as other established Los Angeles bands. After a year with the band, Timmy Spence was growing restless and bored, and was intermittently missing rehearsals. Initially, the members of the band were not worried about Timmy's absence, but when he decided to extend a vacation and missed a few gigs, it was decided to dismiss Timmy from the band which he happily accepted. Shortly after Timmy's departure, the band hired a keyboard player named Bill Fairfield, who was a very good musician, but only stayed with the band for a few months. 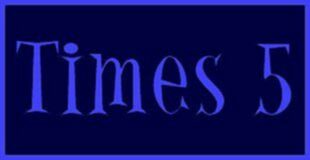 After a 2 ½ year run as the leader of Times 5, David Wallace called a meeting and gave notice that he was leaving the band. Everyone was shocked considering the success of Times 5's single on 415 Records, as well as plans that were in the works for a possible LP on either 415 Records, or Sire Records. With the departure of David Wallace, the other members of the band felt it was futile to attempt to continue and it was agreed to disband. David Wallace went on to perform as a side musician with San Francisco Bay Area bands, The Spectators and Elephant Gun. Shortly thereafter, David moved to Los Angeles to form a band with fellow Bay Area native Karl Leiker. After growing bored with the Los Angeles music scene, David moved to England for a brief period, then finally moved back to his home base of San Francisco where he continued to record numerous demos with his band, DW and the Approaching Hoofbeats. Today, David works as a Computer Operations Specialist, and has a teenage daughter named Frankie. In 1984, David Nelson went on to form a band called Language Arts with Times 5 members, Rick Clare and Walt Jachec. While the band had great possibilities and a well rounded set of originals, the lack of management and enthusiasm eventually doomed the band after only 3 years. David went on to play with numerous acts in the San Francisco Bay Area, and earned his Bachelors Degree in Liberal Studies from Cal State Hayward. Today, David Nelson is Transportation Programs Manager for the Peninsula Traffic Congestion Relief Alliance, and plays in a local East Bay blues band. David lives in Walnut Creek, CA., with his wife Patti. After Times 5, Walt Jachec went on to play in Language Arts with Times 5 members, David Nelson and Rick Clare. 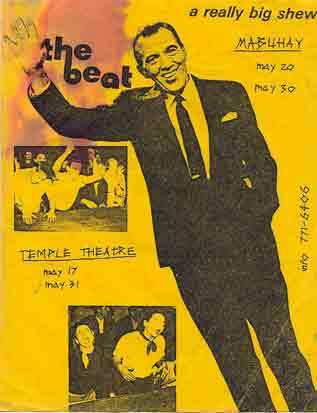 After the breakup of Language Arts, Walt continued to played in numerous acts throughout the San Francisco Bay Area. Today, Walt works for AT&T as a Network Engineer and lives in San Leandro, CA., with his wife, Delia, and young daughter. Timmy Spence went on to pursue a solo career where his song "Brand New Dance" , was featured on the compilation album "Rising Stars of San Francisco". Timmy was a founding member of the Bay Area rock and soul band, Zsu Zsu Pitts, as well as the founding member of the popular Bay Area band, Big Bang Beat. Bored with playing Top 40 for a living, Timmy briefly moved to New York to pursue an acting career then eventually moved back to his beloved San Francisco. Timmy currently lives in San Francisco and is an undergraduate chemistry student at UC Berkeley. From 1979 to 1988, Rick Clare ran a small recording studio out of his home called Gading Road Studios. Among the bands Rick produced were Times 5, Language Arts, Social Unrest, Clare Morris, as well as demos for miscellaneous musicians such as Carl Lichker, Julien Morris, Wade Worthington and Larry Carter of Romeo Void. During this period, and while working as a side musician for local bands, Rick wrote and recorded numerous songs under the virtual band name, County Clare. 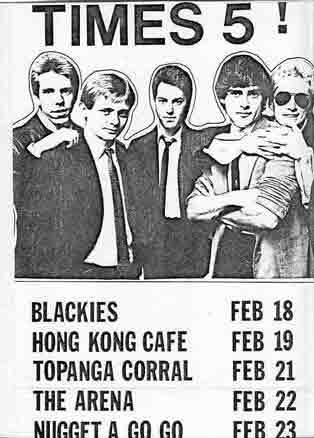 After Times 5 disbanded Rick immediately joined the Bay Area band, Fun Addicts, which lasted until 1983. Rick soon returned to college, and during this time founded a band called Language Arts. After the breakup of Language Arts and while working as a Software Developer, Rick earned a Bachelor of Science degree from California State University Hayward. After a 10 year hiatus from music, Rick currently is in the process of re-tooling his home studio and will soon be releasing new material. David Peterson went on to expand his candy store empire in the San Francisco Bay Area and Sacramento. Eventually David decided to sell off some stores, and during this time, took a job in the front office of the San Francisco Giants. After a stint with the Giants, and with only one candy store remaining, David took an executive position with grocery giant, Safeway. Today, David works at the Safeway headquarters in Pleasanton, CA., and lives nearby in Walnut Creek with his wife, young son and daughter.